When I'm not being jibed for over-sharing or sharing the obvious, I hear people say I'm brave to post about my fears, anxieties and inadequacies (as well as more positive stuff) online for everyone to see. You wouldn't know that just a few years ago, the thought of doing that was too scary for me. In fact, for most of my life I felt I had to contain my more negative or weaker aspects, lest people would think differently of me or change the way they saw me. I had a lot of fear around that. I guess I wanted to look like I had things all together. But I also feared that if I ever tried to do anything notable, someone would stand up and expose me in some way...mar some image of myself I had tried to create. Unlike most issues that people would rather keep hidden, when you're overweight most of your life, one of your biggest issues is right there for everyone to see and judge. So appearing otherwise charming and pulled together was also kind of like damage control for me. It protected me from further hurt. Or so I thought. But the fact is you can't control what others think of you. Whether you're a mass murderer or Mother Theresa, you will always have people who dislike you for one reason or another. Those people will always whisper behind your back. Some will tell hurtful lies about you. Some will tell painful truths. And most will be doing it in their own effort to make it look like they're more pulled together than you. But there's another reason why I open up about fears around mammograms, inner conflicts around moving on from friendships, anxieties around writing, sad moments from my past, internal fears and all the other stuff I've written about in over 1000 posts. I write about it because it's not stuff we talk about. It's stuff we keep inside because we're ashamed, have nobody to tell, or think we're the only one or whatever. Remember when you were a kid and the most horrific thing you could be accused of was farting or eating your boogers? I was never able to understand why that was, because doesn't everyone fart? 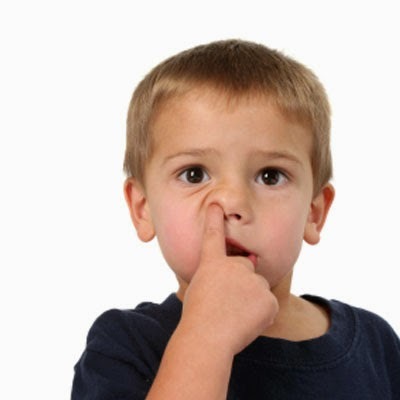 And doesn't every kid sup on a booger or two? So why all the shame around it? Why all the mockery and meanness around it? Even in kindergarten, I understood the unfairness and hypocrisy of it all. We were all booger-eating farters! And yet some kids got branded with the scarlet B or F, while the accusers (who often went home to a large plate of boogers, followed by a bonfire fueled by nothing but farts, btw) came out looking like they had no adverse bodily functions at all! So this idea of shame and separation and limitation at the hands of things we all have in common has bothered me for a really long time. We all have dark moments and times when we weren't at our best. We all have self doubts and crap we kick ourselves over. We all have bad habits and blind spots. We all have guilty pleasures. And yes, we all fart. And I'll be the first to admit that some of the things I've talked about on this blog have held me back. In fact, this very thing—the secrets we keep, not because we cherish them, but because we have shame or embarrassment around them—has held me back...kept me in the shadows and contributed to fears around being all I can be. So I say stuff here and, instead of being judged, people thank me because they no longer feel so alone. They no longer feel like a booger-eating farter. And the thing is, I still have private things. And you'd think I feel more vulnerable because of all this sharing, but I actually feel less vulnerable. By the time something makes it to the blog, I've come to terms with it. The blogging actually helps me work through it. Pushing "publish" is like getting another stamp on my passport to freedom on the matter. Opening up your baggage and placing it on display like this isn't for everyone. But we're all carrying stuff around that imprisons us. Maybe we drink too much. Or our marriage isn't as idyllic as it's portrayed. Maybe we've got a kid who's struggling in some way. Have a lot of debt. Are afraid of the changes ahead of us. Or maybe we're a fully grown adult who doesn't even have the first idea of who we are. There's nothing in any of that that can't be understood and felt by people around us. Maybe they don't drink, but they work too much and see valuable opportunities to bond with their family slipping away in the same way you do. Maybe they feel the same lack of control over their issue. Maybe they understand what it's like to hide away in a toxic behavior because life can be just too damn hard sometimes. I think most people can connect with any of those things in one way or another. But we don't know if we never talk about it. Someone's got to talk about it so people can see that you can talk about it honestly and not be labeled a booger eater. So today I just want to say that, whatever it is, you're ok. Your issue is understood and shared in some way by more people than you know. And that it's ok to find someone you can trust to confide in so you don't have to carry the secret on your shoulders any longer. It's ok to take that weight off your shoulders and move on. I suppose there's some value to being more of a woman of mystery. But I'd rather be a woman of truth. Illusion takes a lot of work to maintain and you don't even realize how much until you start letting it drop away. Let's face it, we can't run from ourselves. We know who we are. To hide it from everyone else just keeps people from understanding you, seeing you as you are and loving you regardless. It just makes us feel alone. We're so much more alike than we know. And the fewer and fewer secrets we keep, the thinner the wall is between ourself and the rest of humanity.